Bill is Co-Owner of SERVPRO of Bennington & Rutland Counties. Since 1986, Bill has been both a part-time and full-time resident of Vermont. Originally from Long Island, New York, Bill founded and was managing partner of Praetor Magurk Romano Inc., a property and casualty insurance agency with two offices and over 20 employees. In 2007, he sold Praetor Magurk Romano to one of the 10 largest P & C Agencies in the country. 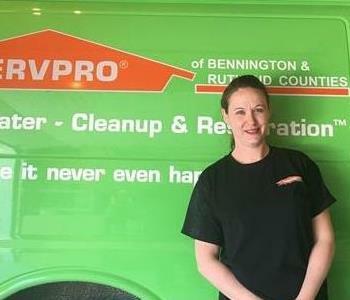 Seeing a need for a true mitigation company in southern Vermont, Bill approached and was selected to be the SERVPRO Franchise for both Bennington & Rutland Counties. With Bill's successful insurance and business background and his son, Will's construction background, they provide an excellent combination of talent to help customer's deal with insurance carriers at their time of need. 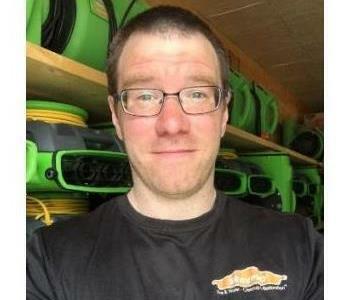 Will is Production Manager and Co-Owner of SERVPRO of Bennington & Rutland Counties and has an extensive background in construction. He is also our lead estimator on current and future jobs. His certifications include, Water Restoration Technician Certification (WRT), Applied Structural Drying (ASD) and (AMRT), Applied Microbial Remediation Technician through the Institute of Inspection Cleaning and Restoration (IICRC), EPA Certified Lead Paint Renovator, and holds a certificate in Insurance Subrogation. 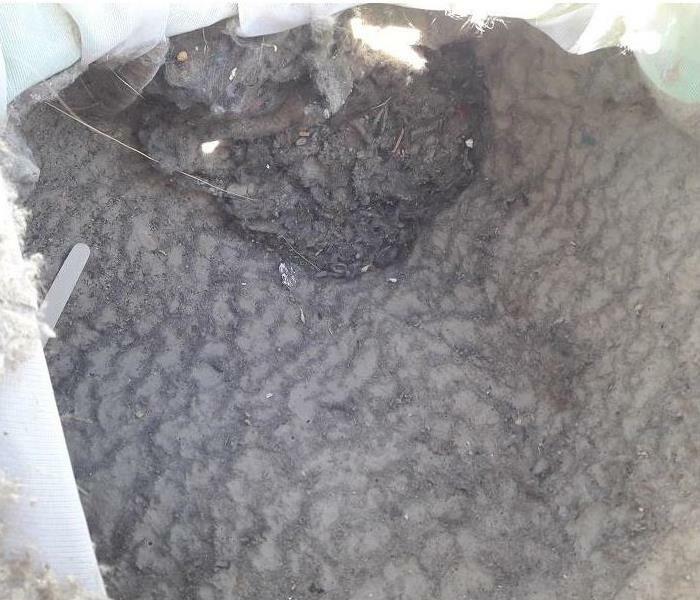 Will is also factory HVAC Duct Cleaning trained by Nikro Industries. Will enjoys mountain biking, and camping. Bronte joined our company as Office & Marketing Manager shortly after we opened. She has more than fifteen years experience in business management, and special events coordination. She enjoys photography, painting, kayaking and traveling with her husband. 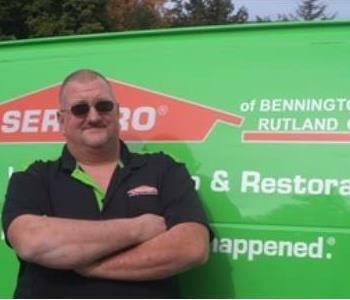 Ralph is the Crew Chief at SERVPRO of Bennington & Rutland Counties and has over 15 plus years experience in construction and customer service. 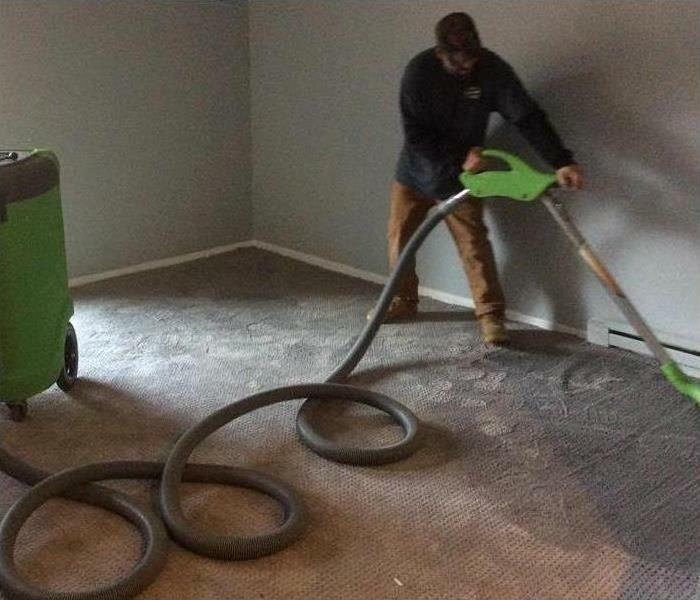 He has the following certifications from the Institute of Inspection Cleaning and Restoration Certification (IICRC): JOURNEYMAN WATER RESTORER (JWR), (AMRT), Applied Microbial Remediation Technician and Carpet Cleaning Technician. Ralph is also factory HVAC Duct Cleaning trained by Nikro Industries. Ralph is married with five children and a volunteer Fireman with the Arlington Fire Department. 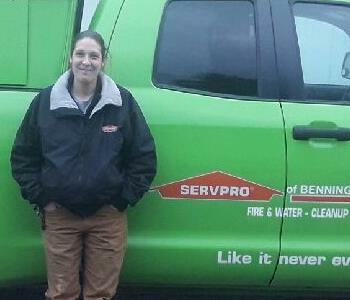 Liz is a Production Technician at SERVPRO of Bennington & Rutland Counties. She has several years of experience with water, fire and mold damage restoration. Liz is married to our Crew Chief, Ralph Billings. 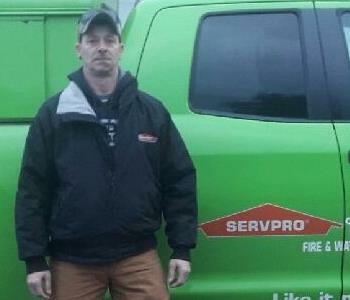 Dave is a Crew Chief at SERVPRO of Bennington & Rutland Counties. He has many years experience as a contractor and has the following certification from the Institute of Inspection Cleaning and Restoration Certification (IICRC): Water Removal Technician. He is married to our cleaning and production technician, Stacey. 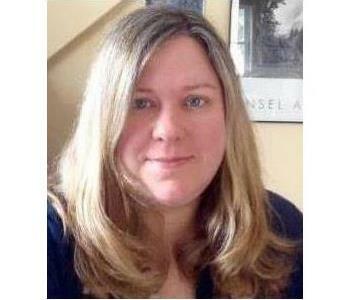 Stacey is a Production Technician and cleaning expert at SERVPRO of Bennington & Rutland Counties. She has many years of cleaning experience, and is married to our Crew Chief, Dave Starkey. 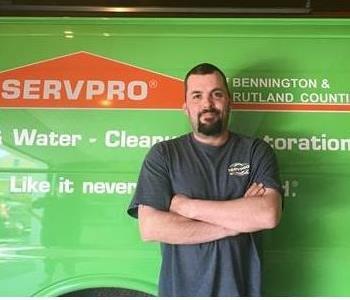 Mike is a Production Technician at SERVPRO of Bennington & Rutland Counties.